The draft order was determined by the 2010 Major League Baseball standings. The Pittsburgh Pirates received the first pick after having the worst record in 2010. The Arizona Diamondbacks, San Diego Padres, and Milwaukee Brewers each received a compensation pick for failing to sign draft picks from the 2010 draft. Also, teams lost draft picks for signing certain free agents, while teams losing free agents received draft picks as compensation. The Elias Sports Bureau ranks all players based on performance over the past two seasons, with the top 20% being considered "Type A" and the next 20% considered "Type B". 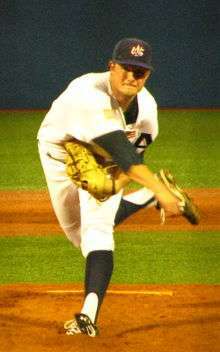 If a team offers a Type A free agent arbitration and he signs with another club, the player's former team obtains the new team's first- or second-round pick, depending on whether the new team is in the top 15 or bottom 15 in won-loss records in 2011, as well as a supplemental pick after the first round. If a team offers a Class B free agent arbitration and he signs with another club, the former team gets a supplemental pick after the first round. Bradley, Jr., JackieJackie Bradley, Jr.
Bichette, Jr., DanteDante Bichette, Jr.
↑ "2011 First-Year Player Draft Order Announced: MLB Network to Host Day One Festivities on Monday, June 6th Live From Studio 42 Pittsburgh Pirates Select First Overall; Tampa Bay Rays Hold 10 of Top 60 Picks" (Press release). Major League Baseball. April 14, 2011. Retrieved November 15, 2011. ↑ "Pirates guaranteed worst record, No. 1 pick in '11". Associated Press. September 29, 2010. Retrieved May 4, 2011. "Draft Tracker - 2011 First-Year Player Draft". MLB.com. MLB Advanced Media. Retrieved October 12, 2011.